This was being sold as a Man vs Wild type of story, and I have to say that is definitely part of what the filmmakers delivered. 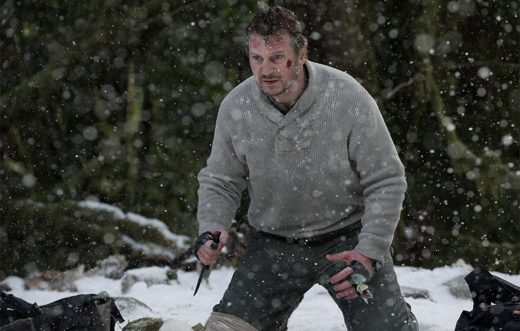 More specifically though, The Grey is a Man Vs Wild story featuring Liam Neeson. Neeson's presence alone always seems to add substance to any movie he's in. 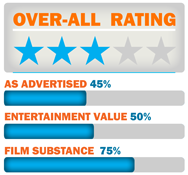 The Grey falls under the category of movies in which entertainment value is measured by emotional engagement/reaction . The film allows the opportunity to get emotionally invested in the main characters which, in-turn, makes us (the audience) actually care about what happens to them. The Grey is as much an exploration of human nature as it is a presentation of the nature of life on planet Earth. Life, love, faith, and death, are all explored in exhibited utilizing all tools available in the art of filmmaking. Great writing, great visuals, well executed action sequences, but most importantly; great character development. The Grey effectively introduces us to all the characters, and lets them tell us, (both verbally and visually) why they do what they do, which may not necessarily lead us to care about them, but we certainly respect their right to exist. This simple element makes everything that happens in the film both relevant and emotionally engaging. On a personal note; I have to admit, The Grey caused me to react emotionally in such a way that I didn’t think any film would be able to anymore, especially the way things are going with Hollywood. Not only do I consider this film to be a solid and well made film, but I also consider it my first official ‘Personal Favorite’ of the year. The Grey is an emotionally engaging, well made film. I’m sure that, by now, everyone knows Steven Soderbergh films are rarely what they are advertised to be. Soderbergh is known for his experimental approach on storytelling that (in my opinion) isn’t always successful in the sense that it appeals to a mass audience. In other words… sometimes his movies are just plain weird. All the trailers and TV spots make it seem as though Haywire (a.k.a. Mallory) would basically just be the female Jason Bourne. I think however, the question of whether Mallory or Jason Bourne are essentially the same character is less as important as the question of whether Haywire and the Bourne movies have the same goals…. I don’t think they do. While the Bourne movies are of a man trying to understand who he is, and rely heavily on plot structure, Haywire seems to be Soderbergh interpretation of an action movie… and that’s it. The plot for Haywire is so basic it’s almost irrelevant, and I walked out of the theater with no real understanding of who Mallory is (and I ultimately didn’t really care who she was supposed to be). All that really mattered was how Mallory was going to both get into, and get out of, each one of the (at least) half dozen fight sequences spread out throughout the movie. 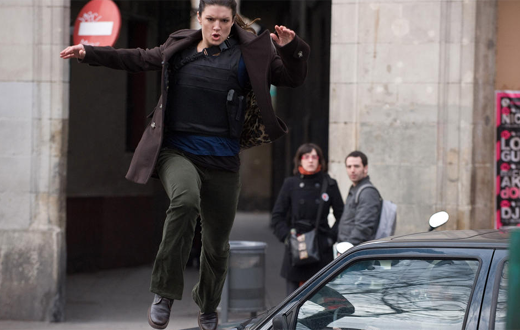 Each sequence however is so incredibly well choreographed and so unlike anything I have ever seen a female action hero in, that they make the slow lead-ups worth the wait, and ultimately make the film worth watching. (sadly though, a lot of the thrills and what would have been awesome surprises are in the trailers). Very well choreographed action sequences. Slow to develop, and a lot of what would have been amazing surprises were ruined by the trailer. WEDDING VIDEO PRODUCTION PACKAGES starting at $400 (Premium Package). Photography Packages available at special promotional rates in association with Miguel Angel Photography. Other Wedding Package options are available on request by calling Christian Salinas at 956.437.4378. ACTOR/MODEL DEMO VIDEOS starting at $229. 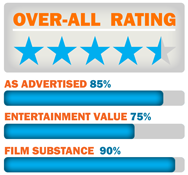 Rate applies to productions NOT exceeding 10min in length. Rate applies to one scene at one location. (additional scene options available) Rate does NOT include additional expenses acquired by specific optional production extras and features requested by client. (i.e. : props, additional lighting, location fee's, special FX's) Photography Packages available at special promotional rates in association with Miguel Angel Photography. *ADDITIONAL TERMS: All Rates and Services are subject to availability. An additional fee of $20 will be automatically applied to productions services provided by Border Perspective at any location EAST of McAllen Texas city limits, and WEST of Roma Texas city limits. NONE of the above printed rates apply to areas outside of the Rio Grande Valley of South Texas. Border Perspective reserves the right to make all video productions available for public viewing on the Internet for promotional use. Border Perspective reserves the right to decline service requests and/or proposals deemed unacceptable and/or inappropriate.